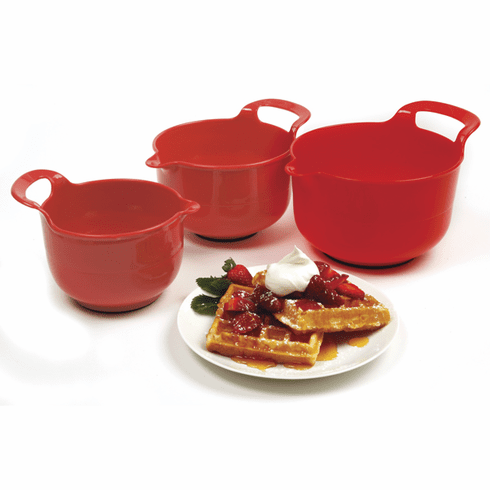 This great 3 piece mixing bowl set includes sizes 5C/1.2L, 7C/1.7L, 10C/2.4L. Nest for compact storage. Non-slip rubber ring base. Contoured dripless pour spout to easily funnel ingredients into mixer or batter onto griddle or baking pan. Wide handle grip. Lightweight and durable. Dishwasher, microwave and freezer safe.